The most advanced features of android apps give happiness to every user of android mobile gadget these days. Students feel affection for using the latest technologies and highly developed resources to learn comfortably. They can listen to the following 5 advanced android apps in detail to make an informed decision without difficulty. One of the most successful android apps among students throughout the world at this time is Evernote. Users of this app can take notes conveniently. They can also create different notebooks and store the most important information for references in the future. Users of this app can create to-do lists effectively when they take down complete details about the lecture notes. Handwriting mode in this app supports users write notes and equations easily. This app supports users to access it on their android gadget, Windows PC, iPad, and other devices. As a result, users of this app can listen to notes and share notes with their contacts. Many students feel difficulties to do calculation often. They do not wish to use a basic calculator on a regular basis. 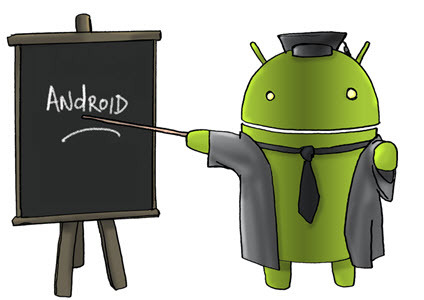 They can use this outstanding android application to make use of the most advanced way to shine in their studies. This app comes with lots of basic functions required by users. This app includes lots of categories like DEG, RAD, Binary, Octal, Hexadecimal, and other modes that user will probably need. People who wish to ensure the quality elements of this app can use the free version of this app. The most wonderful medical reference guidance at this time is Epocrates. The most advanced features in this app give the most magnificent support to users make use of it. Many medical students all through the world nowadays have a preference on this android app since they love to fulfill their desire on a futuristic android app for their reference guide. Users of this app can find the most useful information about lots of drugs by using a simple search from the comfort of anywhere. They can also keep up with the most recent medical news and research details in depth. Users of this app can easily perform different calculations include, but not limited to BMI and GFR. They can check for harmful drug interactions up to 30 drugs at the same time. As a result, they save their time and make an informed decision. Students have different needs to take notes and scan something often. They can choose CamScanner to scan lecture notes, homework sheet, and other things at any time. They can share their data that they scanned by using this app. Users of this extraordinary android app can scan their documents into the form of PDF. They can make annotations on their documents easily. Lots of tools are available in this app to increase the quality of scanning process and the final document. Users of Wolfram Alpha can get crystal clear information regarding a mathematical equation they entered into this app. They can perform math homework when they use this android app efficiently.